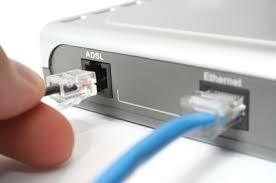 ADSL (or Broadband) Internet Connectivity is fast becoming a redundant service due to the advent of VDSL (or FTTC – Fibre To The Cabinet) technology which offers connection bandwidth of around 10 times greater. However, VDSL is still only available in a select band of postcodes and so for small businesses wishing to start up in, or relocate to premises outside VDSL enabled postcodes, ADSL is the best option until VDSL is available. Unlike other ISPs, Elan Telecom can offer your business multiple different types of specialist ADSL broadband – up to a 1:1 contention ratio and all ADSL broadband can be specifically tailored to your business requirements. Broadband packages start at just £20+ VAT per month. ADSL IP Stream up to 8Mbps download at 20:1 or 50:1 contention ratio. ADSL2+ LLU up to 24Mbps download at 20:1 or 50:1 contention ratio. SDSL 20Mbps download, 2Mbps upload (not rate adaptive) at 10:1 contention ratio. BT 21CN (next generation) up to 20Mbps download and 1.3Mbps upload. SDSL Priority Connect 20Mbps download and 2.1Mbps upload at 1:1 contention ratio. You will not be offered the above range of options with main stream ISPs. For even faster options, please see our FTTC and Leased Line products. VPN Infrastructure with optional QOS line management can connect your remote sites securely and ultra-fast on an ISP level. Simply contact Elan Telecom with your ADSL telephone number including postcode and we will discuss with you the products which are available in your area. This will range from straightforward reliable broadband to the latest next generation 21CN and enterprise level products all of which can be provided to your business at wholesale prices.